The advent of Low Cost Carrier in the past decade has its boon and bane. On the bright side, more people can afford to travel by plane, but on the down side, the public have grown alienated with the concept of a proper, satiating and palateable on-board meal. To the majority people, on board meal is at most, mediocre, or something merely to keep oneself occupied throughout the boring flight. 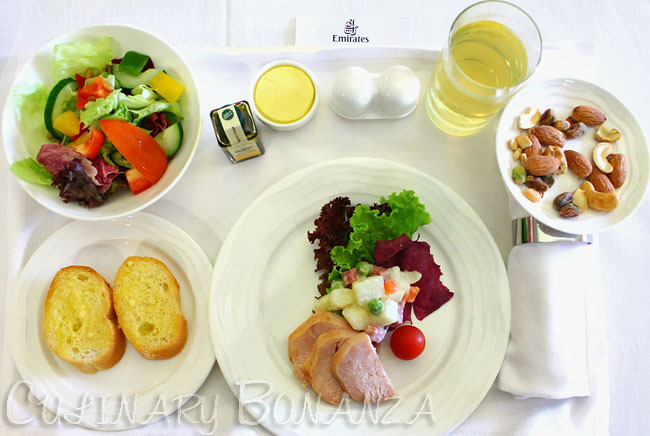 Emirates Airlines is obviously serious about its food. It is committed to serve 100% Halal certified meal consistently on all flights & routes to various destinations all over the globe. After all, all carriers will transport the customers to the same destinations and serve about the same routes. 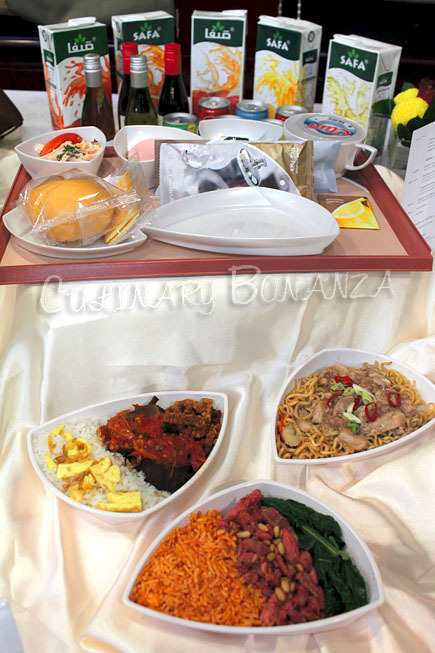 So, to distinguish itself from another, it is imperative for these airlines to create a lasting & impressionable customer experience, entertainment and cuisine. v All food served on board of Emirates are Halal certified. 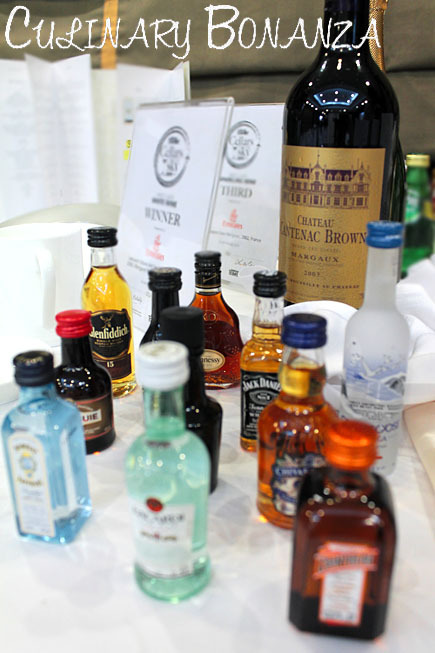 v Complimentary alcoholic beverages are served for all passengers in all classes (except for Saudi-bound flights). v Air crews will serve families travelling with young children first. 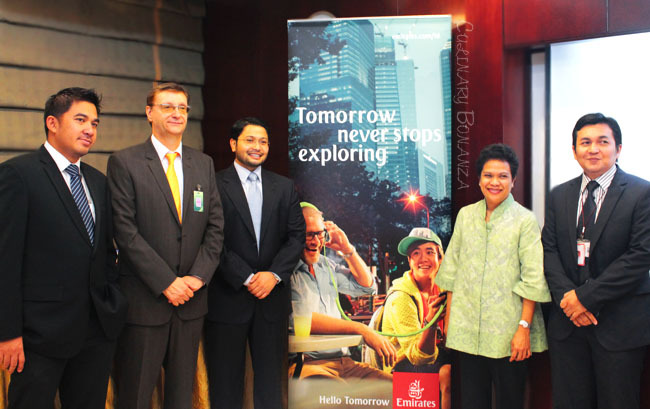 It's a way to encouraging families to travel (with Emirates). 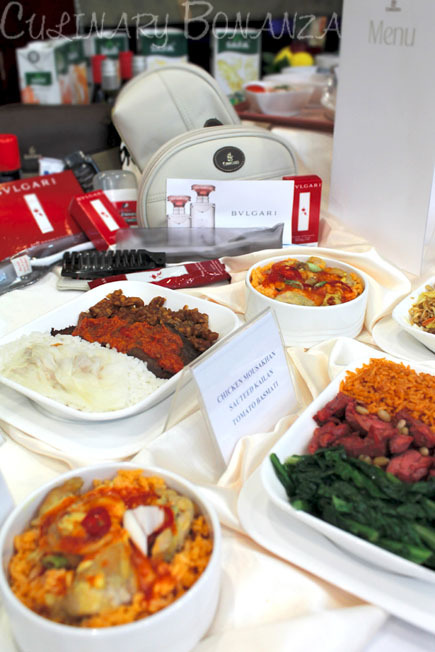 v Passengers can choose from up to 23 special meals ranging from Diabetic Meal, Gluten-Intolerant Meal, Kosher Meal, Post-Weaning Meal, Bland Meal, and other interesting special meals. 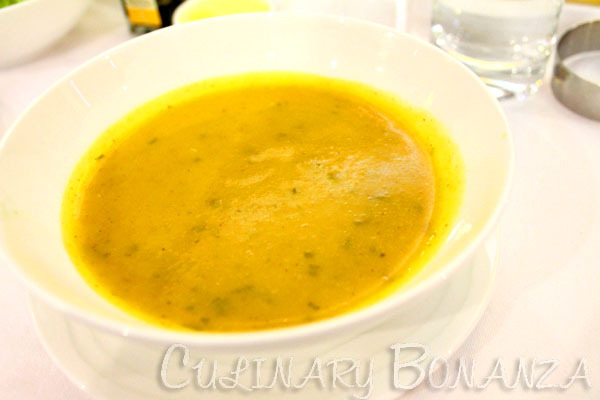 v Menu rotation occurs every 4 months, so what's being served in January, will appear again in May and September. The entire menu itself is changed annually. 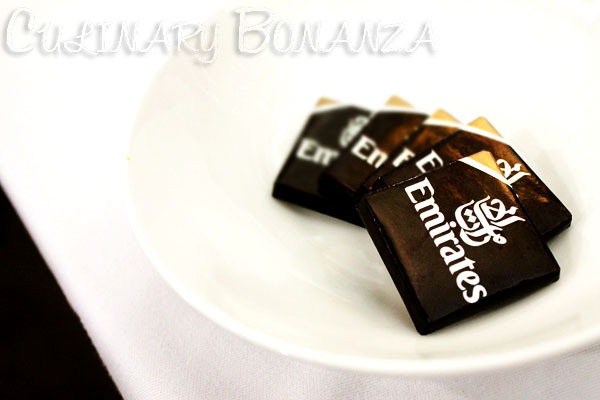 v In its 20th year, in Indonesia, Emirates will begin operating its third daily flight between Jakarta and Dubai on 2nd March 2013. Next, we toured the ACS kitchen for almost an hour. The entire area was big (but not as massive as Marina Bay Sands' Heart-of-House) and maze-like; the kitchens and storage rooms were separated into different sections. Unfortunately, for hygiene and safety purposes, we weren't allowed to snap photos during the kitchen tour. I have always been fascinated with airline meals and thus, the chance take a peek into "behind the scenes" was a very much welcome experience for me. Lunch time! 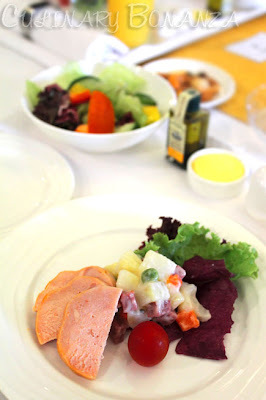 The time was actually past lunch time, so I was glad to finally get to settle at our tables to sample First Class meal on board of Emirates Airlines, sans the low air pressure, dry air and occasional turbulence of course (although I wouldn't mind at all flying 14 hours for that..). I was quite nervous to be assigned a seat at the same table as Monsieur Brevot. But my worry was unfounded, such a cheeky gentleman Mr. Brevot is! His formal suit and composed poise disguised a warm and amicable persona. Throughout the meal, we chatted, and played some games hosted by the cheeky emcee (she's a lovely petite lady). 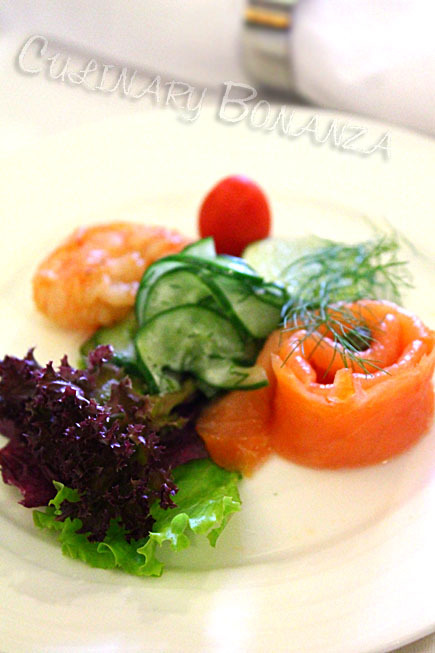 Choice of either Chicken Salad or Smoked Salmon and Prawn. 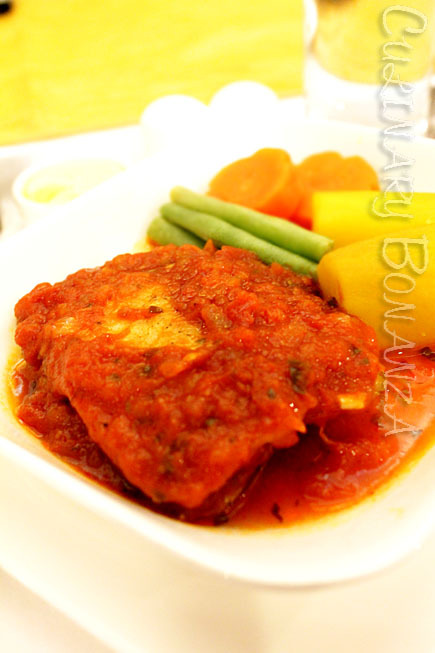 There were 3 options available: Chicken Breast Mousakhan, Beef Empal Balado or Dory Fillet with Tomato Basil Sauce. I chose the last and was actually rather regretted my decision when I saw what the others on my table had, which looked more tempting. 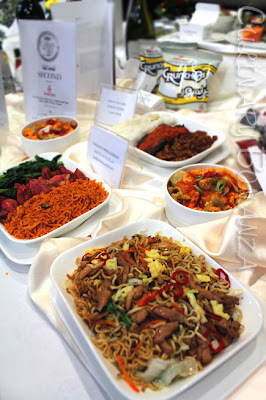 Mr. Brevot's choice was Beef Empal, but I personally would love to have the Chicken Breast Mousakhan. A classic Middle Eastern recipe for the chicken, served with sauteed broccoli and tomato basmati rice garnished with fine pine seeds. 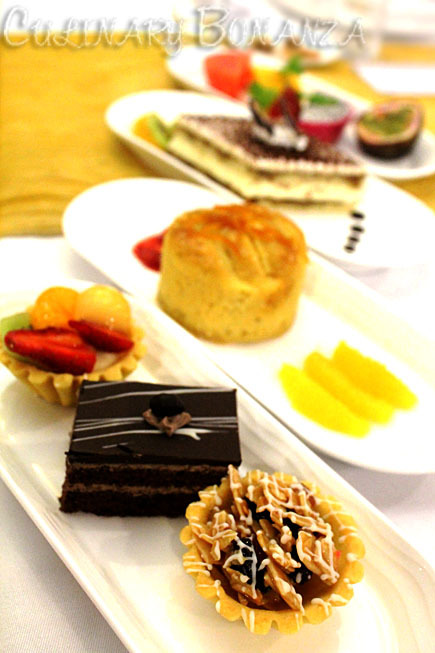 There were fruit tartlets, Rich Chocolate Cake, Tiramisu, fresh cut fruits and chocolate thins. 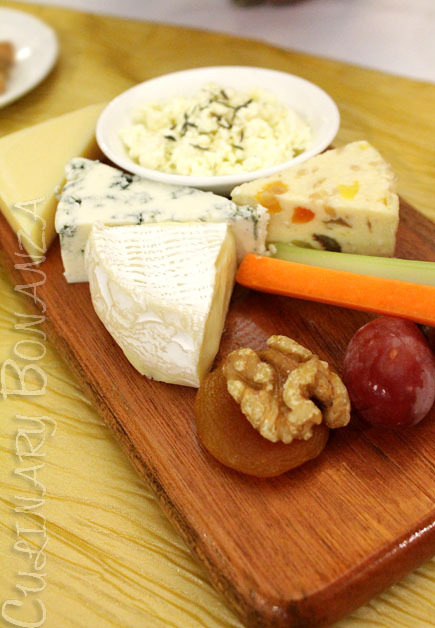 A selection of quarters of Blue cheese, Camembert, Mozzarella, Fetah, Fruit (peach) Cheese. My favourite? Camembert and fruit cheese, for the soft texture and rich flavours. Mau Chicken or Smoked Salmon Salad-nya Ellyna... -____-"
Don't Call Him Chef, Because Raj Abat Cooks!